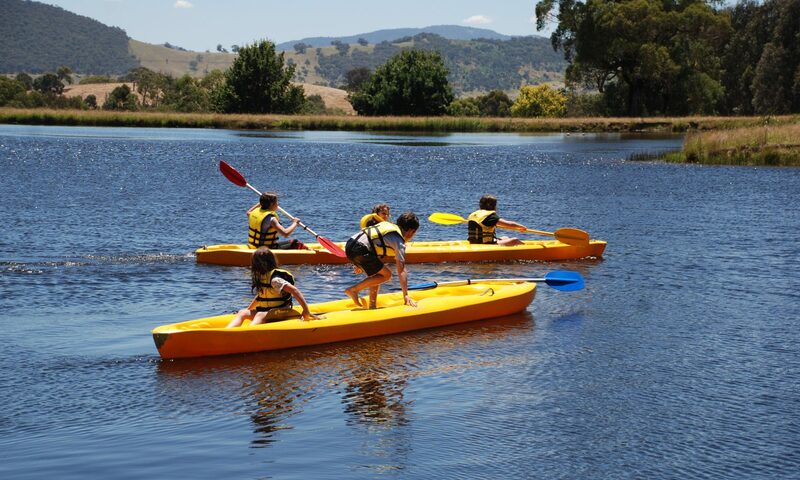 Snowy River Camp is a school camp and group accommodation property situated on 177 acres of farmland in the beautiful Tallangatta Valley in North East Victoria. Our mission is to provide exciting and challenging educational activities which build resilience, teamwork and an enjoyment of the outdoors. We invite you to come and explore and interact with the many animals including cattle, pony, sheep, dogs and Bambi, the very cheeky deer. Snowy River Camp is a relaxing farmstay for individual families or couples too. There are many things to do to keep people of all ages interested. 87 beds, mostly bunks, in 25 rooms. Rooms can sleep 2, 4, 8 or 10 people. 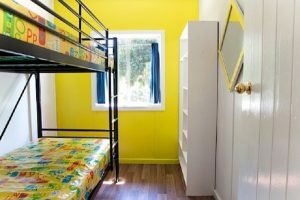 Some rooms have ensuites and these beds can be made into king size for group leaders. Most bedrooms can access bathrooms under the same roof line. For larger groups we can provide canvas bell shape tents and stretcher beds to accommodate a further 16 guests. Or you may bring your own tents. School groups have exclusive use of the property. Other groups with over 40 people have exclusive use of the gardens in which all accommodation buildings are situated. A large undercover alfresco eating area looking out to the hills is the perfect place to enjoy meals. A commercial kitchen and dining room is also available for self-catering groups. We can assist you to tailor a program specific to your group’s goals. You may want students to develop leadership, teamwork and problem solving skills. You may also be focused on independence and resilience, with a heap of fun! Whatever your outcomes we have activities that match and support you to deliver the curriculum. We do this in a safe environment with fully trained staff. We are an ATAP and Australian Camp Association accredited camp. Teachers we make it easy for you! We’ll assist you to develop a program and we’ll provide all the necessary documentation, including risk assessments, that you need to provide to your school Council. Call Tanya today on 02 6072 5555 to get started! We welcome campers on weekends and over school holidays. There are two campsites. 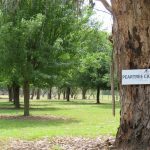 The pear tree campsite is situated underneath rows of shady Manchurian pear trees, near bathrooms and our bush cooking area. Or wake up to a glorious sunrise overlooking the valley when you camp beside the 10 acre lake. Try your luck at fishing for a Murray cod (catch and release only, bring a one hook lure). Or enjoy a paddle in a canoe or wander around our farm. For those of you looking to go away camping with your horse we have yards for horses to stay overnight, a full size sand arena, small round yard plus good access to trail rides from the farm. We recommend booking ahead, particularly for the busy holiday weekends. Check out the reviews from happy campers on WikiCamps. More documents coming soon to help you plan your camp.